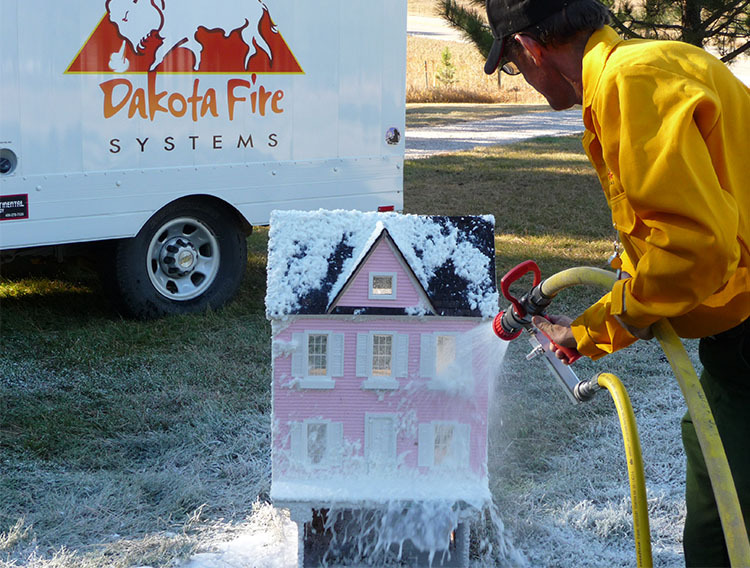 DakotaFire Systems™ is a unique fire suppression system that can not only protect homes and land from the threat of fire, but it also acts as an extinguishing and wet line agent. The unique gel system, when applied to structures, forest land, and any other flammable object will prevent the spread of fire in an easy to apply functionality. 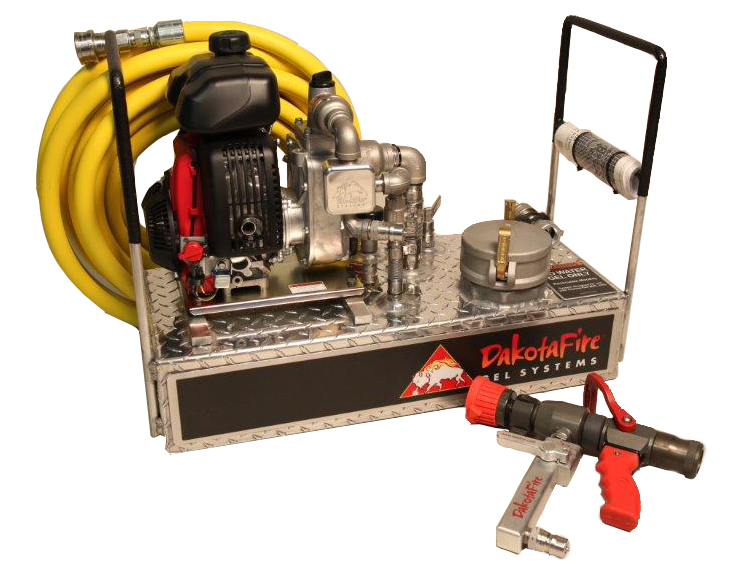 The DakotaFire Systems™ is simple and quick to use, making it one of the best pieces of firefighting equipment that crews can be proficient with. 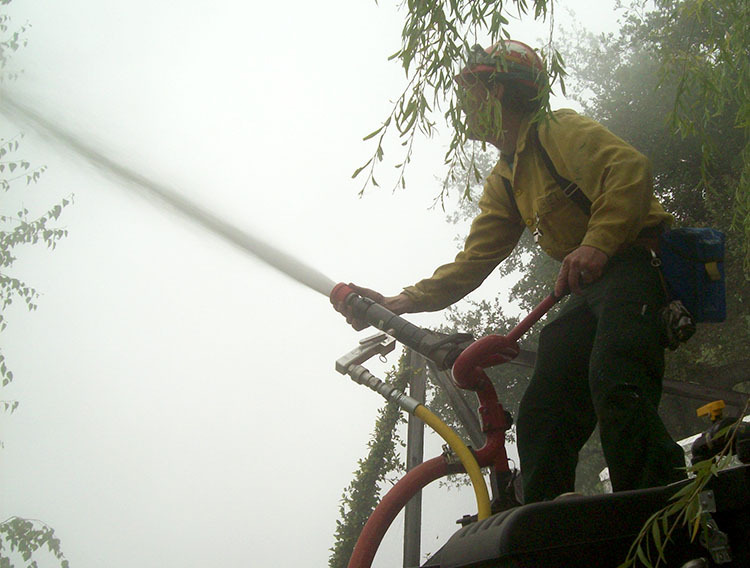 The DakotaFire Systems™ is a suppression system and prevention tool that can save lives, buildings, and forest land that is otherwise irreplaceable. By using it as a protection tool, crews are able to protect homes, businesses, and other large frameworks by applying a layer of the gel directly to structures and forest land. The gel can withstand the heat of a fire, causing no damage to the assets it is protecting. This piece of firefighting equipment can also be used as a wet line agent. This prevents the spread of a fire by spraying the pressurized gel on the ground, creating a line around the property and protecting it. 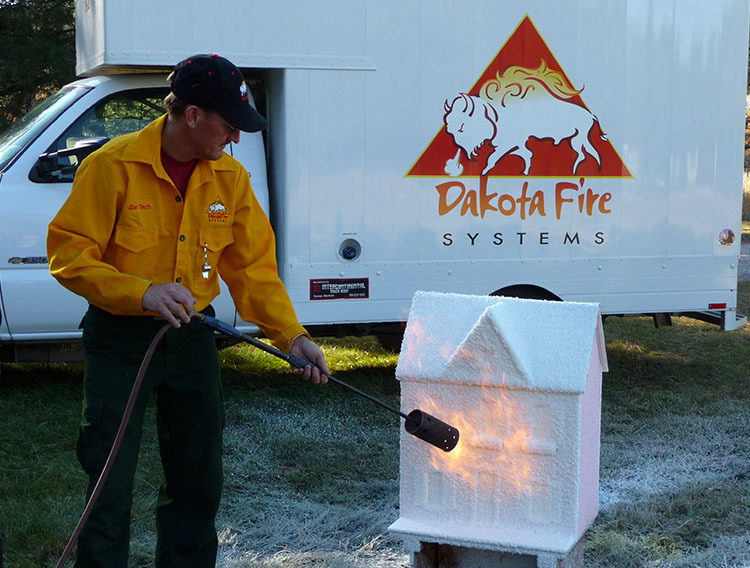 Additionally, the DakotaFire Systems™ unique gel can also be used to put fires out which ultimately leads to saving water while extinguishing a fire. Not only is this suppression system safer for firefighters, the gel increases efficiency by using using less water and offering more protection, the system utilizes every ounce of water to the fullest. Your crews can do more with less, which means the gel is also environmentally friendly. The DakotaFire Systems™ is perfect for small volunteer fire departments and military bases. The system used to distribute the gel is portable and can be attached to any existing truck’s water line. It can be taken into the field well before the spread of a fire, giving crews the chance to get out of the line of danger, while still preventing the spread of fire. The suppression system can even fit onto an ATV when needing to reach remote areas of a fire. Read more on how the DakotaFire Systems™ works in protection, suppression, and wet lining.